to GIVE This small breakfast nook area more space and INTEREST, we designed murals for the ceiling and alcove-tying the two together with a lemon tree theme. a COLOR WASH WAS ADDED TO THE WALLS. the END RESULT GAVE THE SPACE MUCH NEEDED CHARM AND CHARACTER! 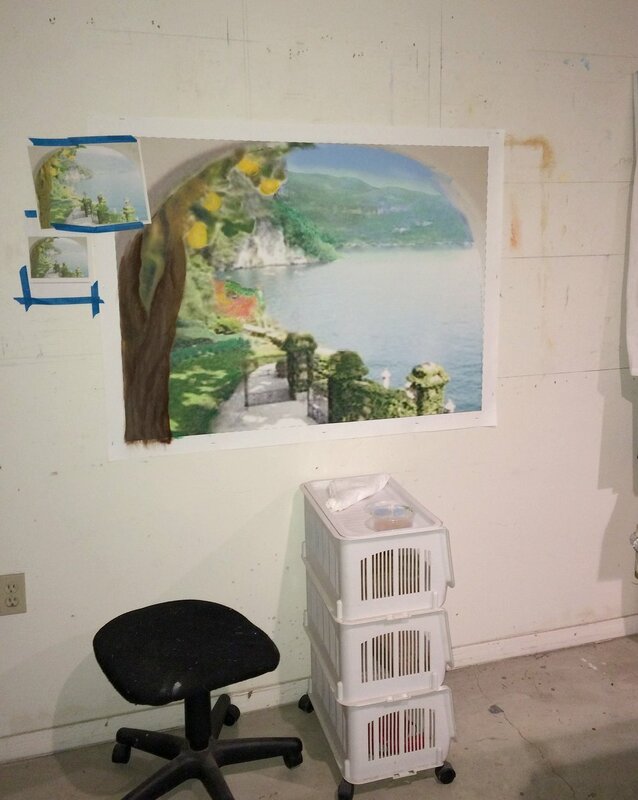 The painting for the alcove was done on canvas in our studio then brought to the sight to be installed. Once installed, a little touch up and colors were added to adjust the painting to the room and lighting. The ceiling mural was painted on site-the soffit drops were faux wood grained to add structure and frame the mural. Blue sky with light clouds and hanging lemons add space and height to the room! A soft parchment color wash was applied to the walls to cozy up the room.